The buzz around the negative impacts of single use plastics on our environment is spreading. By now, I think it’s fair to say that most people are aware of plastic pollution, and how it’s choking our oceans and killing wildlife. It’s a problem that seems near impossible to fix. But there is some good news on this front. While the true end of single use plastic is likely many, many years away (if at all), countries around the world are (finally) starting to take this issue seriously, and take action to reduce their use. The United Nations Environment Program and the World Resources Institute produced a report in mid-2018 after surveying 192 countries on policies that regulate the manufacture, sale, use, and disposal of single-use plastics. They found 127 out of 1921 countries reviewed (about 66%) have adopted some form of legislation to regulate plastic bags. Twenty-seven countries had enacted legislation banning either specific products (like plates, cups, straws, packaging), materials (like polystyrene) or production levels of these items. Do Single Use Plastics Affect Our Health? While single use plastics don’t pose a serious health threat in the way that other types of plastics and plastic use does, they have enormous downstream effects on our health, and naturally, the health of the planet. Plastic waste leads to plastics in our waterways – most notably in our oceans – but also in our drinking water. These microplastics act as sponges for other chemicals in the water, which wildlife, and we consume. There are not any studies exploring whether these microplastics are causing direct health problems, but I can say with a fair degree of certainty they are not helping. SO, that nations around the world are slowly starting to address single-use plastics is a GREAT thing. In addition to government level regulations, we need more people like YOU to guide others towards safer, healthier, and more sustainable materials. Here are some quick tips to help reduce the consumption of single use plastics out in the world. Buy (and carry with you) reusable glass or stainless steel straws. These are widely available and very inexpensive. Ask wait staff to not give straws. Buy (and carry with you, or stash in your car) reusable stainless steel or bamboo utensils. Buy (and carry with you) glass or stainless steel water bottles. Use regular coffee mugs when you buy coffee out, or get a travel mug with a silicone lid, like this one. Shop with reusable grocery bags (preferably that can be washed!) A single plastic bag can take 1,000 years to degrade, and we use millions and millions of these each year. Use nylon or cotton bags for produce instead of plastic bags when shopping. These bags are my favorite, they double as nut milk, or green juice straining bags, and are machine washable. These mesh bags are perfect for larger, heavier products like potatoes. Bring your own glass jars (or cloth bags) for bulk items at the grocery store. My favorite glass storage are mason jars and Weck jars. Skip the Ziplock bags, and opt for silicone sandwich bags like the ones from Stasher. Purchase re-fillable laundry. Each year, tens of millions of plastic jugs make their way into landfills; instead get detergent refills mailed you to when you use MyGreenFills non-toxic laundry detergent. (You can read more about MyGreenFills here, and watch an my interview with Founder Stephen Ezell. 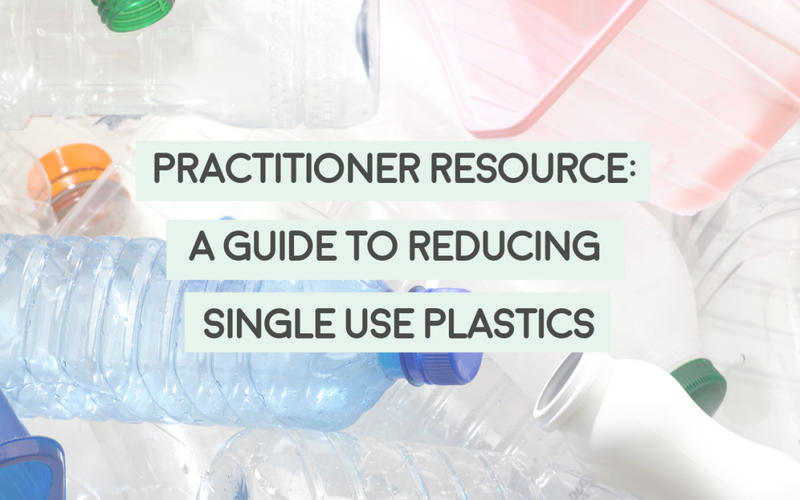 What are your favorite ways to reduce single use plastics? This is great information! 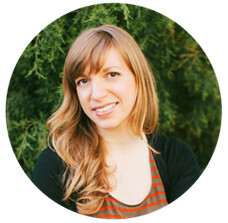 Thanks, Lara, for keeping us informed and giving us useful tips to pass on to our clients. You are very much appreciated!!! You are so so welcome Kathie! !